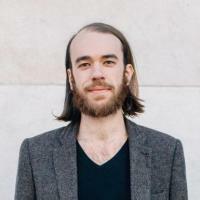 Taylor Ross is a PhD student in the Early Christianity track of the Graduate Program in Religion. My research is situated at the intersections of patristic theology, idealisms ancient and modern, and philosophy of language. While focusing primarily on figures in the Greek patristic tradition (e.g., Origen, the Cappadocians, Maximus Confessor), I also work on various theologians in the modern period, especially those who draw from patristic wells (e.g., Hans Urs von Balthasar, Sergei Bulgakov). My dissertation, tentatively titled "Minding the Gap: Gregory of Nyssa on the God-World Relation," charts the often distorted reception of Gregory's account of the God-world relation among modern interpreters and offers a corrective to such misreadings by restoring his texts to their philosophical/theological context. In addition to my work on Early Christianity and Late Antiquity, I am also earning the Philosophy, Arts, and Literature (PAL) Graduate Certificate.